Inspired by Alfa Romeo sedan chassis the 2015 Chrysler 200 delivers beautiful craftsmanship using high-quality materials, understated elegance, and is loaded with state-of-the-art technology and safety features. Its styling is contemporary, charismatic and eye-catching. The forward-thrusting nose, the sleek faux-coupe roofline, and cleanly understated tail. It will easily earn its place in the front row at valet parking. The 200 competes in the industry's most significant mid-size segment. With a more powerful base four-cylinder engine and a thoroughly overhauled interior, the midsize 2015 Chrysler 200 sedan has what it takes to shows it's elegance in your driveway. There are two engines available with the 2015 Chrysler 200 and both deliver a plenty of power. New 200's come standard with a 2.4L Tigershark® MultiAir® II four cylinder engine with an automatic nine-speed transmission that gets 36 highway MPG. Another power option is an available 3.6L Pentastar® V-6 engine with 295 horsepower and 32 highway miles per gallon. The Pentastar® engine also utilize an automatic nine-speed transmission. Each transmission is paired with a modern, electronic gear-shifting knob that allows you to switch gears simply and. 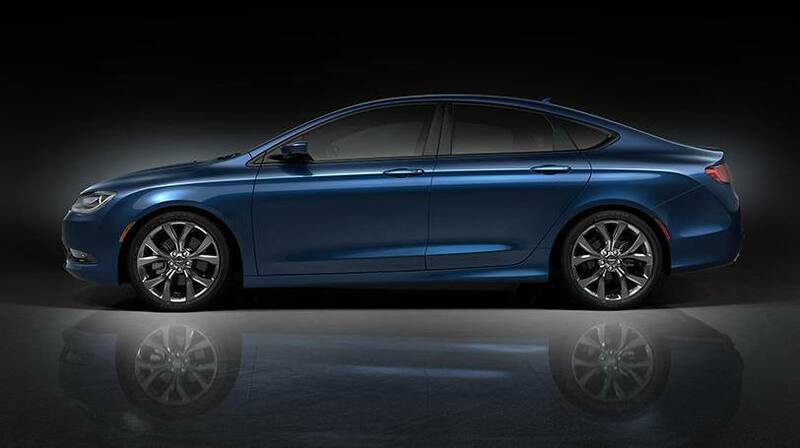 A feature for the 2015 Chrysler 200 is an All-Wheel-Drive system and Speed Sensing Steering. 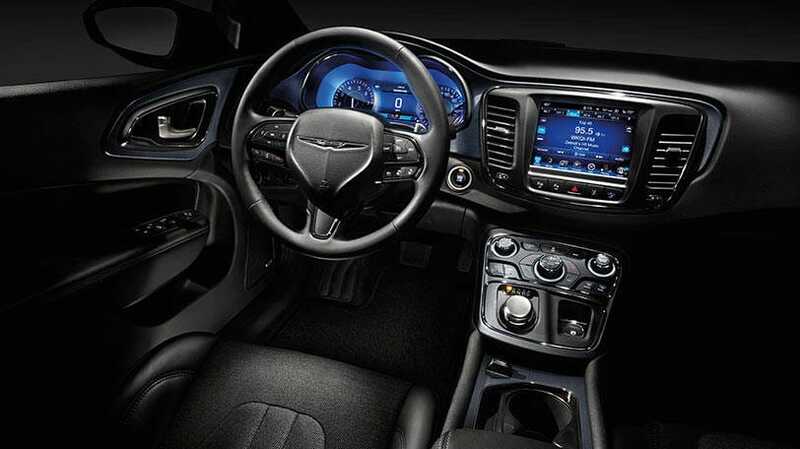 The 2015 Chrysler 200 handles like a dream with its comfortable interior you will pinch yourself to make sure it's real. The 2015 Chrysler 200 has all of the features you could want in a mid-sized sedan to keep you safe. It offers the most standard and available safety features than any other car in its class on the market. Among these innovative features is ParkView Rear Backup Camera, Adaptive Cruise Control with stop and go functionality, Forward Collision Warning, and an advanced All-Wheel-Drive system. Additional safety features include blind spot monitoring, lane departure warning, and eight strategically placed airbags to help prevent injury and a 9-1-1 call button.